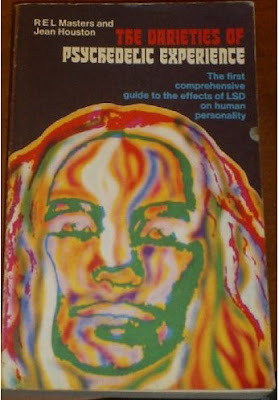 If "The Doors Of Perception" was the most important work on psychedelics because of its influence, this then is by far the greatest because of its impeccable research, its far-ranging implications and its clear, lucid and compelling putting together of the evidence for the remarkable therapeutic and consciousness-illuminating value of LSD and other psychedelics (principally peyote). They don't, however, proselitize, and this is much to their credit. In fact, they go to some lengths to inform the reader that an active pro-drugs "for the sake of drugs" mindset is fraught with peril, and do so in a way that is both impartial and learned. They're at their best, however, in their extraordinary recounting of the psychedelic experiences they conducted themselves as guides. There are so many instances where the subject, usually a person with a very intense psychological or emotional problem, arrived at a life-changing breakthrough, that it lingers long in the mind. But the book is most of all a primer for their very lucid theory of the psychedelic experience and its various stages or levels. It is, in fact, so well thought out and explained, that this reviewer wonders why it had so little impact on the great body of psychedelic research, even after all these years. To me, it is the only theory that makes any sense and it's also the only one that could be used in a therapeutic setting so that the chances of errors or mistakes in guidance be effectively minimized.